A National Leader of the All Progressives Congress, APC, Bola Tinubu, on Tuesday declared that Lagos State Governor, Akinwunmi Ambode was not a good party man. Tinubu said though Ambode has done well in office but the party decided against supporting the governor’s second term because he was not a good party man. He made the disclosure while addressing journalists at Ward C, Ikeja Local Government Area, after the conclusion of voting in the Lagos APC governorship primary. When questioned on his support for Ambode, Tinubu said, “Who did I support in 2014? Ambode. Life is dynamic. It’s those who made me the leader of the structure in Lagos who said it was what they want. It’s only if you have followers that you’re a leader in democracy. 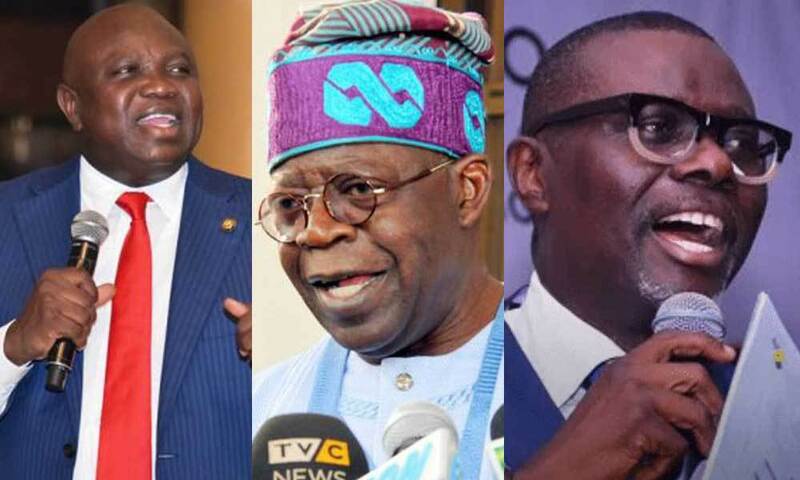 His alleged anointed candidate, Babajide Sanwo-Olu was earlier declared the winner of the ward after defeating the State Governor, Akinwunmi Ambode.